RMP provided the full range of acoustic consultancy services throughout the project of the construction of an 8-screen multiplex cinema built over restaurant and retail outlets. Glasgow Fort is the only shopping complex in Scotland with its own dedicated motorway junction. 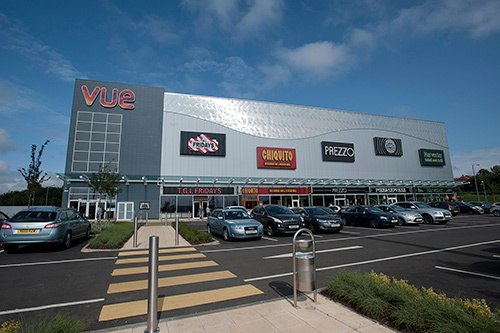 RMP facilitated compliance with relevant standards and Vue cinema design requirements.